Screenshot from the event’s promotional flyer. The 11th Annual Dubuque Area Watershed Symposium will be Wednesday, Feb. 27 at the National Mississippi River Museum & Aquarium from 3 to 9pm. The event is free to the public, but pre-registration is required to attend. Subtitled “The True Value of Clean Water”, the event will focus on Iowa’s water quality concerns and current efforts to resolve them. One of the first items on the agenda will be a presentation on the City of Dubuque’s recent Iowa Partners for Conservation Grant: $326,712 to be put towards engaging local farmers and helping them become leaders in efforts to reduce flooding and improve water quality in the Catfish Creek Watershed. Other presentations will cover conservation practices, land-use practices, soil health, and water quality. 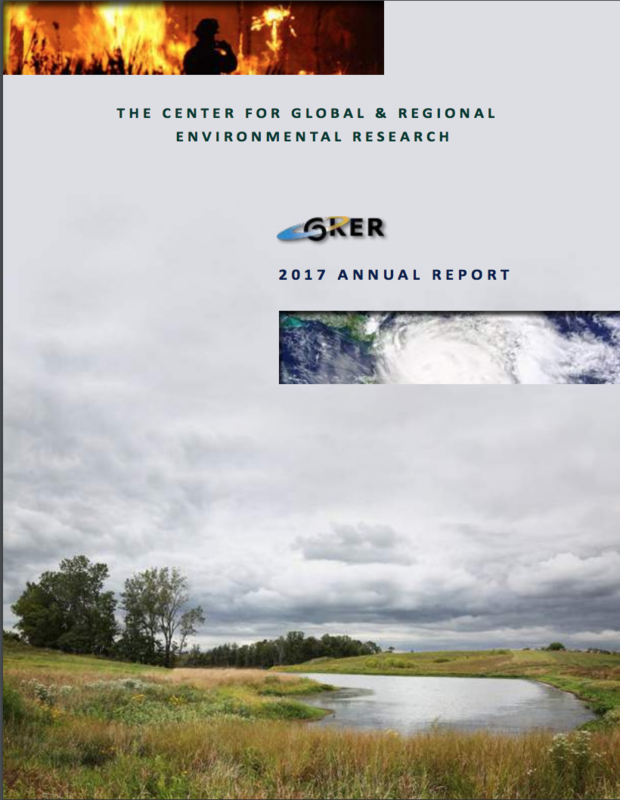 Later in the evening, keynote speakers Michael Schueller, director of environmental operations the State Hygienic Lab, and Larry Webber, IIHR research engineer and co-founder of the Iowa Flood Center, will share their knowledge and ideas about Iowa water quality. The organizers want to hear from non-experts, too, and will hold a roundtable discussion on drafting the Dubuque County Conservation Strategic Plan, as well as encourage questions after the keynotes. For more information visit the City of Dubuque’s official website. Water that washes off of farm fields poses major challenges for water quality in Iowa (flickr). Last week, Iowa Secretary of Agriculture Mike Naig announced a three year extension and $2 million of extra state funding for three innovative projects promoting soil conservation and water quality on farms. These projects are part of the Iowa Water Quality Initiative, which partially funds 65 water quality projects around the state. This initiative is part of the larger Iowa Nutrient Reduction Strategy, an effort to reduce harmful nutrient runoff from farm fields into waterways. The Taylor County Water Quality Initiative, one of the three extended projects, identifies specific areas on farms that could benefit from alternative practices like land retirement or drainage management. Over 60 farmers have so far used the program to reduce nutrient runoff while maintaining or increasing profitability. 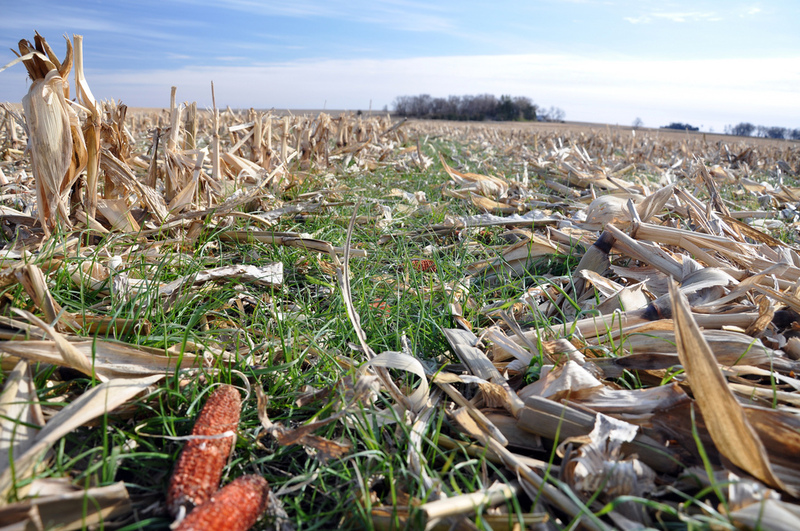 The Iowa Seed Corn Cover Crops Initiative engages partners like the Iowa Seed Association to encourage cover cropping: growing alternative crops on otherwise bare soil during the off season. Cover crops hold soil in place and can help with weed management and soil compaction issues. Some seed companies say this initiative has increased cover cropping among their clients from less than 10 percent to over 50 percent. The Central Iowa Watershed Management Authority Project has so far installed five wetlands, five saturated buffers and two bioreactors on farms. Saturated buffers use strips of wetland to filter nutrients from drainage water, and bioreactors use organic carbon sources, like wood chips, for denitrification. Both are expensive and difficult for most farmers to install without assistance. Iowa Water Quality Initiative projects like these are funded by both state and private money, as well as in-kind donations. Other active projects target entire watersheds and demonstrate methods for improving urban water quality. Iowa farmers planted 600,000 acres of cover crops last fall. This is an increase of over 60,000 acres, but covers just 2.6 percent of the 23.4 million acres of corn and soybean crops in the state. Various state and federal conservation programs provided funding for 353,000 of these acres, including a cost-share program through the Iowa Department of Agriculture and Land Stewardship, as part of the Iowa Water Quality Initiative to meet the needs of the Iowa Nutrient Reduction Strategy. Cover crops provide land with a vegetative cover during the months that crops are not actively growing, between the harvest and replanting. This helps to reduce the amount of nutrients that are washed into Iowa’s water bodies from agricultural lands, ultimately protecting the water quality. According to a report by the Environmental Working Group, cover crops can reduce the amount of nitrates leaching from the soil by 35 percent, and they are the the most effective practice for retaining nitrogen in the soil. Washington County leads the state with the most acres of cover crops planted, followed by Cedar and Iowa counties, Wallaces Farmer reports. Iowa Agriculture Secretary Bill Northey told Wallaces Farmer that he is encouraged by the increase in the practice. On episode three of EnvIowa, we sit down with Dr. Chris Jones, IIHR Research Engineer, to discuss his recent research, which looks at the effects of soybean crops on water quality in Iowa. Much of the research over the last 40 years has been focused on corn, given that corn plants require more fertilizer than soybean plants. However, studies in 2009 and 2016, both of which Dr. Jones co-authored, suggest that soybeans play a larger role than previously understood. Dr. Jones helps us understand why nutrient pollution has increased steadily as more and more farmers have integrated soybeans into crop rotation, replacing smaller grains and cover-crops, and what it will take to turn this science into water quality policies that benefit Iowans. The EnvIowa podcast can also be found on iTunes and soundclound. For a complete archive of past episodes, click on the EnvIowa Podcast tab at the top of this page. A cover crop and soil health field day will be held in Solon, Iowa on Thursday June 16th to honor late farmer Tom Wall. A grower for 33 years, Wall practiced no-till agriculture on his corn and soy bean crops. In efforts to improve soil health, Walls also planted turnip and cereal rye cover crops beginning in 2013. Cover crops provide many benefits to the land, including soil erosion protection, reduced nutrient leaching, carbon sequestration, weed suppression, and integrated pest management. The event will be held at the Timber Frame Lodge off of Lake Macbride Trail. It is hosted by the Iowa Learning Farms, in collaboration with the Rapid Creek Watershed Project and the Iowa Soybean Association. The event includes a complimentary dinner and is free and open to the public. The field day will feature a discussion about “incorporating small grains and perennial forage into row crop rotations” led by Iowa State Extension and Outreach Agronomist Matt Liebman. Jason Steele, Area Resource Soil Scientist for Iowa Natural Resource Conservation Service, will conduct a demonstration on soil health. Additionally, attendees will have the chance to see the effects of rainfall on various agricultural and urban land use scenarios through a Conservation Station Simulator. When considering that Iowa has lost over half of its topsoil over the last 100 years, events like these seem to carry a new significance. Beyond the devastating environmental consequences, there are also adverse economic effects of top soil erosion. In Iowa, eroded soil means rented land decreases in value by $6.74 per acre on average. For more information about this cover crop and soil field day and other conservation education events, visit The Iowa Learning Farm. 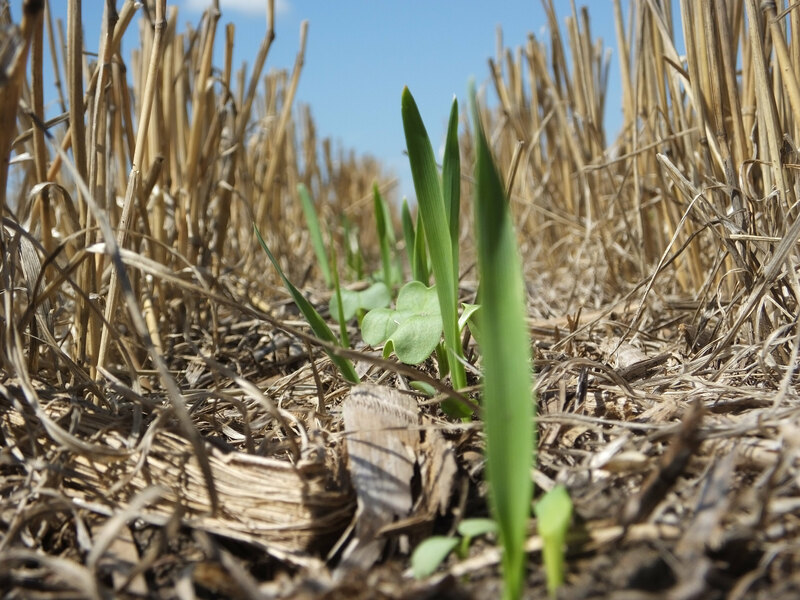 A recent study by the international consulting firm Datu Research finds that Iowa farmers are beginning to better utilize cover crops, crop rotation, and no-till practices. The 53-page report concluded that 23 percent of Iowa farmers who responded to the survey said they utilized cover crops. Seventy percent were using minimum or conservation tillage while 47 percent said they practiced no-till techniques. The study also found that 80 percent of respondents rotated between corn and soybeans each year. Practices such as cover crop use, crop rotation, and reduced tillage can help to reduce soil erosion and nutrient runoff which leads to water pollution. These practices also improve soil health and help to manage moisture content while saving farmers money on fertilizer costs. Currently agriculture accounts for over 70 percent of the nitrogen and phosphorus that enters the Gulf of Mexico via the Mississippi River. This has threatened the aquatic ecosystem in one of the nation’s largest and most productive fisheries. A separate ongoing study by researchers at the University of Illinois suggests that cover crops do not increase crop yields but do “increase the amount of sequestered soil organic carbon.” This study finds that tillage techniques also affect the soil organic carbon content. 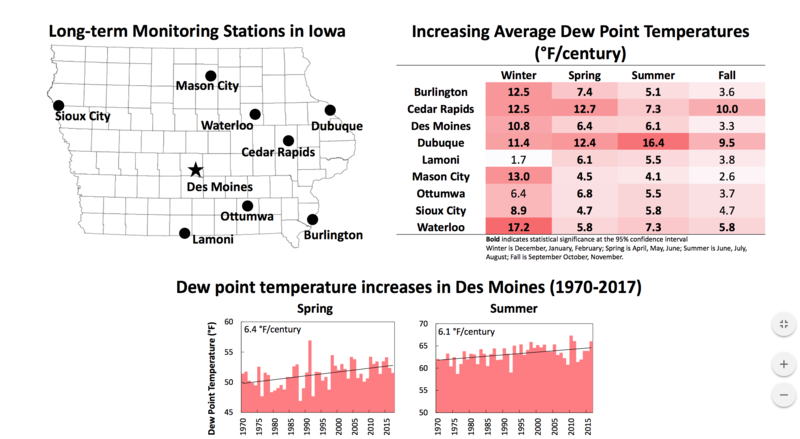 The Datu study was conducted on Iowa farmers and landowners in June of 2014. Approximately 1,500 farmers were surveyed and of those 212 were considered eligible respondents. Mono-culture cover crops have positive effects on the environment in Iowa and elsewhere. 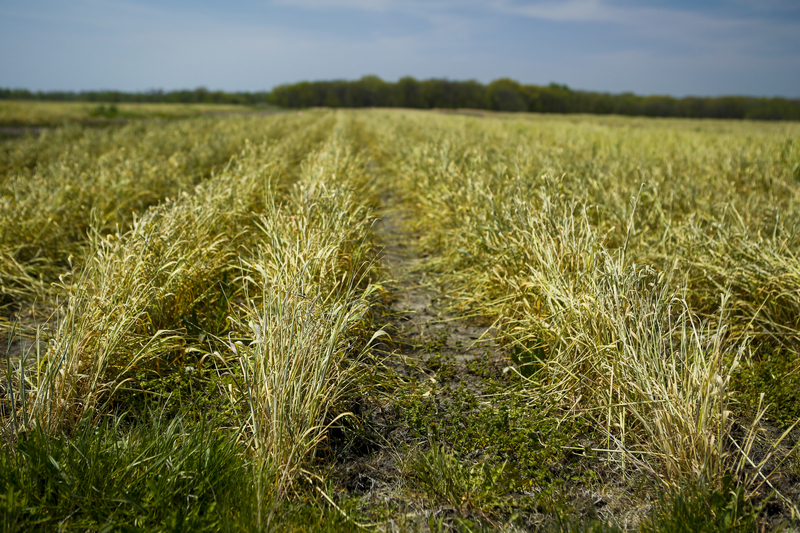 While only 2 percent of the cropland in the Mississippi River Basin are utilizing cover crops, Gabe Brown, a farmer in North Dakota, expects more farmers will soon realize the positive impact of cover crops. Brown is practicing the latest trend in cover cropping by mixing species. Instead of using just rye, for example, Brown also plants a brassica, like radish. By mixing the crops, creating a cover crop “cocktail”, sustainability can increase. Brown will be participating in the Practical Farmers of Iowa Conference this Thursday and Friday and Iowa State. To read more about cover crop “cocktails” click here.